On Balto 2, there was a lot more spiritism and magic because of Aleu's problem. Now even though it was a nice movie about her, I think they overdid it with all the magic. They should of balanced it out like on part one. Do you agree? Re: Was Magic Worth it? I pretty much agree with everything you said. 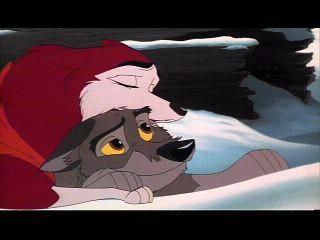 Balto was about the sled dogs in the serum run, not about mythology. Yes, I agree. The magic did throw it off a little. But it was still a great movie. Yeah, that was a little scary.